"I wasn't like those pretty girls with those nice little noses. Maybe that's why." 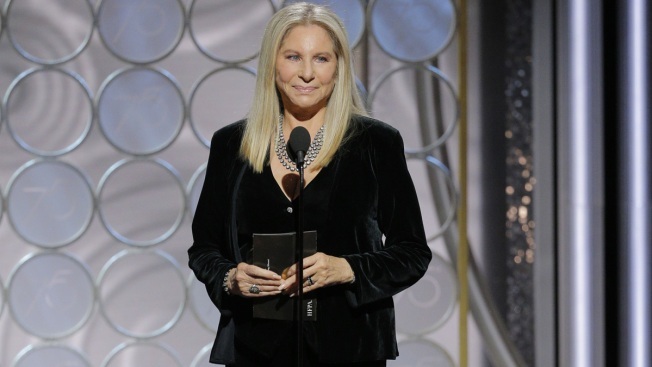 In this Jan. 7, 2018, file photo, presenter Barbra Streisand speaks during the 75th Annual Golden Globe Awards at The Beverly Hilton Hotel. During a Friday, March 16, 2018 tribute to her decades of TV music specials and other programs, Streisand said she's never suffered sexual harassment but has felt abused by the media. Streisand said he asked her hurtful questions during a TV interview and she called him afterward to complain. But on a subsequent show, Wallace told viewers who'd objected to his treatment of Streisand that she "loved" the interview, according to the star. Wallace's tough questioning brought Streisand to tears on a 1991 interview on "60 Minutes."